I am an engineer with 30 years experience including extensive scientific training, data analysis, modeling and statistics. I have several published papers dealing with data modeling. Although I am not a "climate scientist" by trade, my knowledge and training enables me to scientifically evaluate the data and the scientific studies. When I began to look into the science behind the global warming issue, I started to realize that the scientific debate is not over (the political debate may be over, but it shouldn't be) -- because the science doesn't match the scary scenarios portrayed by the media. So I started documenting my findings on this web site. Unfortunately, the media do not provide a balanced portrayal of the issue -- the media are in the business of selling fear, and if global warming is not the end of the world, there is no story. Formulation of an hypothesis to explain the phenomena - usually in the form of a causal mechanism or a mathematical relation. Use of the hypothesis to quantitatively predict the results of new observations (or the existence of other related phenomena). In the case of global warming science, political ideology has now overcome the scientific method -- steps 3 and 4 have been thwarted by those with too much to gain from the scare stories. 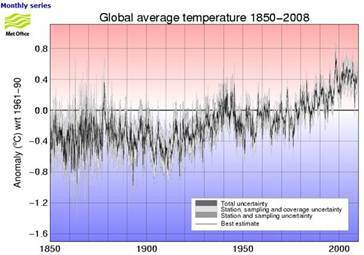 We are stuck with step two: 1: warming has been observed; 2: CO2 has been hypothesized as the cause. Many scientists are currently involved in steps 3 and 4, but they are called "deniers" because they won't go along with the political bandwagon without scientific justification. Theoretical science – in which models are created based on the theory underlying the phenomenon (in modern times these are created as computer models to generate predictions). Knowledge of the underlying phenomenon is required. Empirical science – in which data observations are analyzed to create prediction models. Knowledge of data analysis and statistics is required. In both cases, this represents step 2 of the scientific method and the science is not complete until proceeding through step 4. 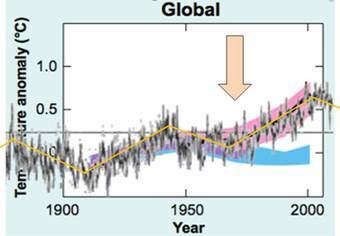 Climate science as promoted by the IPCC is based on computerized theoretical climate models and running “scenarios” to predict the future. When the observations from the empirical side don’t match the models, they change the data. This is not real science. According to the IPCC, the climate change until 1970 can be explained by the theoretical computer climate models based on natural climate forcings; after 1970 the models can only explain the warming based on anthropogenic CO2. This web site documents the science providing ample evidence that supports the rejection of the CO2 hypothesis. The IPCC was set up in 1988 with the stated purpose of assessing “the scientific, technical and socioeconomic information relevant for the understanding of the risk of human-induced climate change” -- i.e. the human cause was built-in before the science was investigated. As I have studied the science involved with the global warming issue (and continue to do so), I have begun to realize the irrelevance of the science. As Al Gore said: "The debate is over." At first I misunderstood - I thought he was referring to the scientific debate (which has many dissenters and much debate is going on, even if it's not reported by the media). However, the political debate is over. However, I am in the minority that thinks science is relevant and that the political process should not subvert science in this manner.